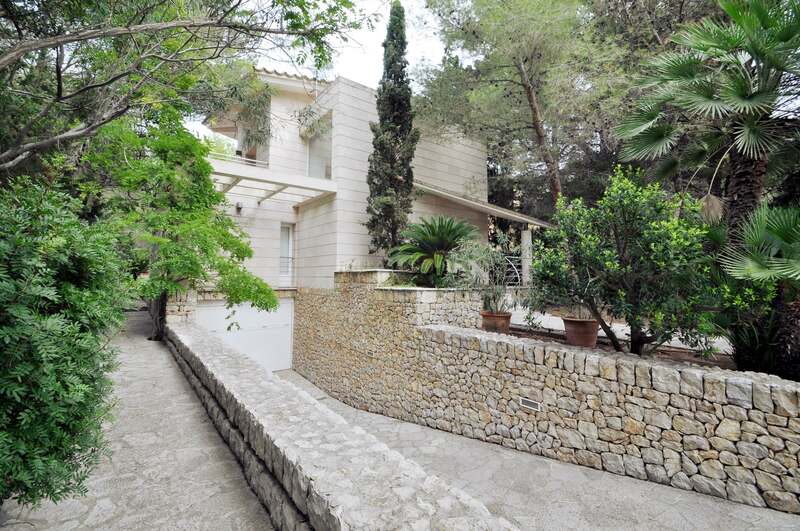 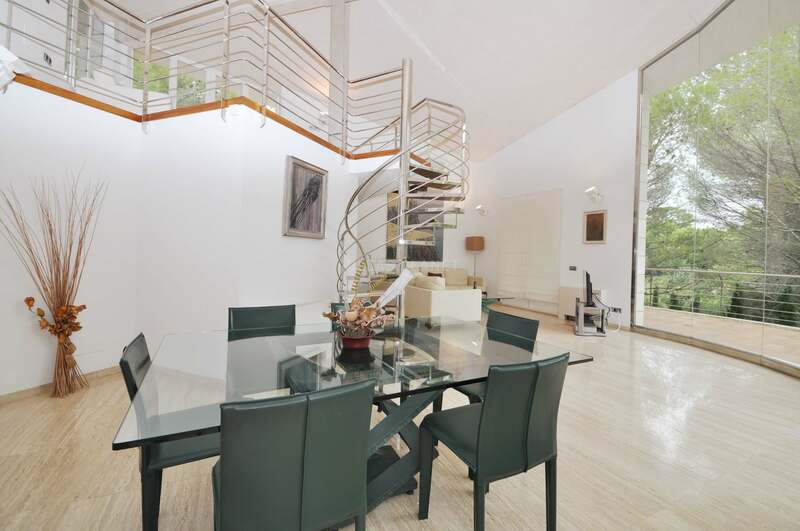 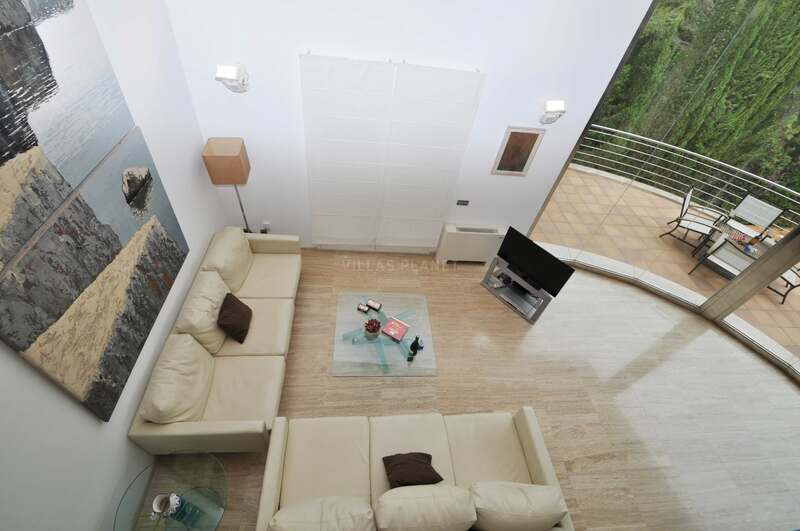 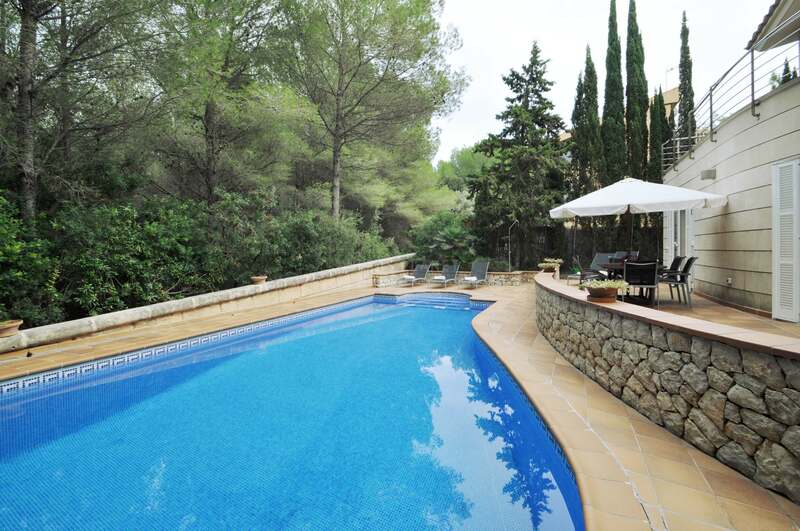 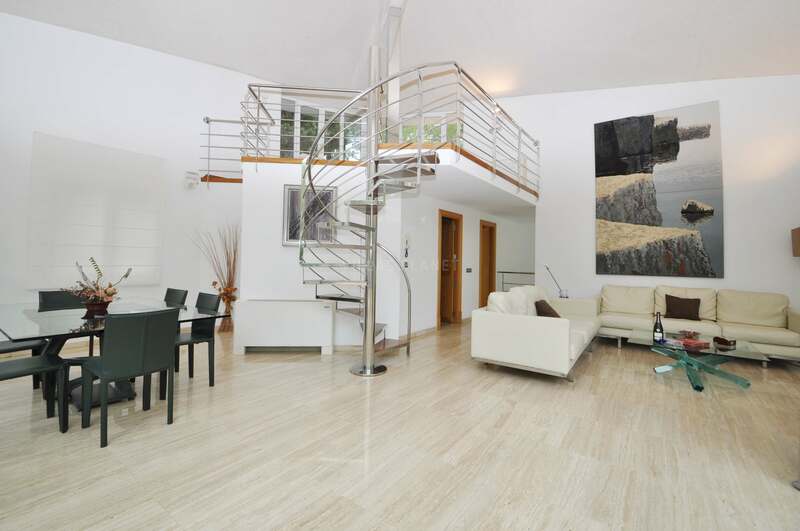 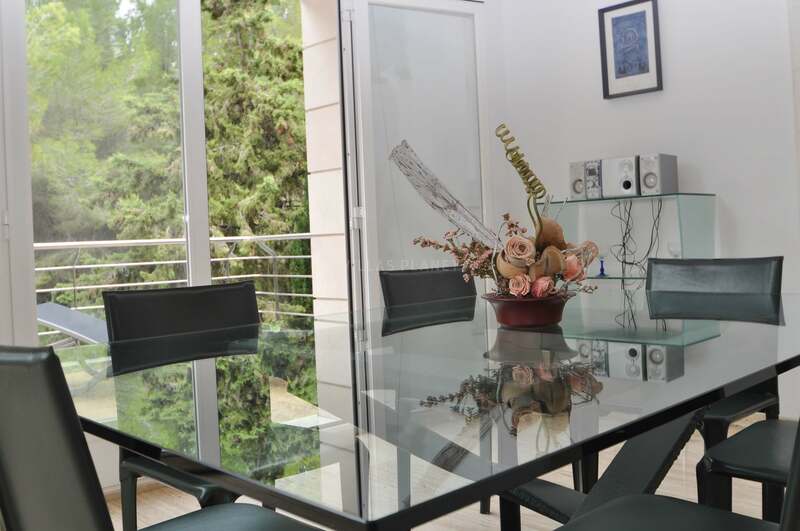 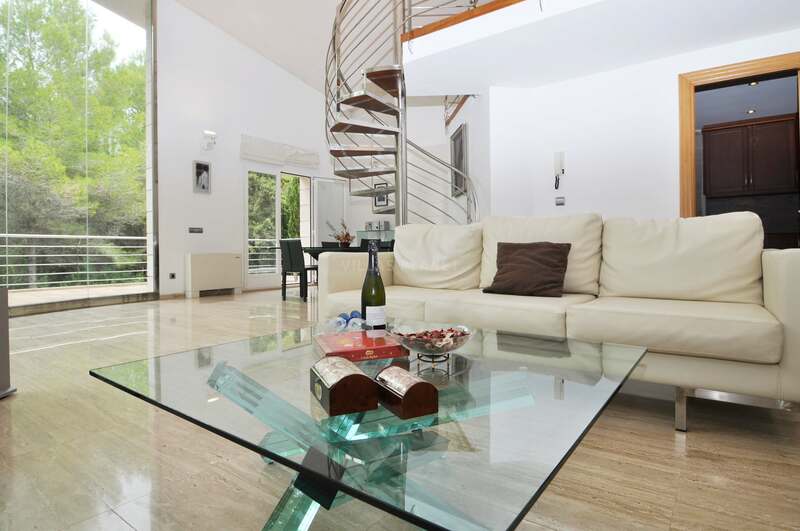 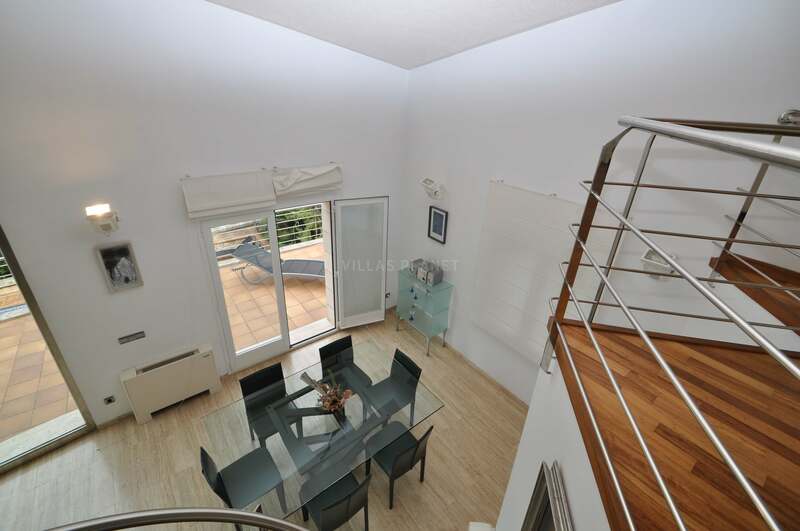 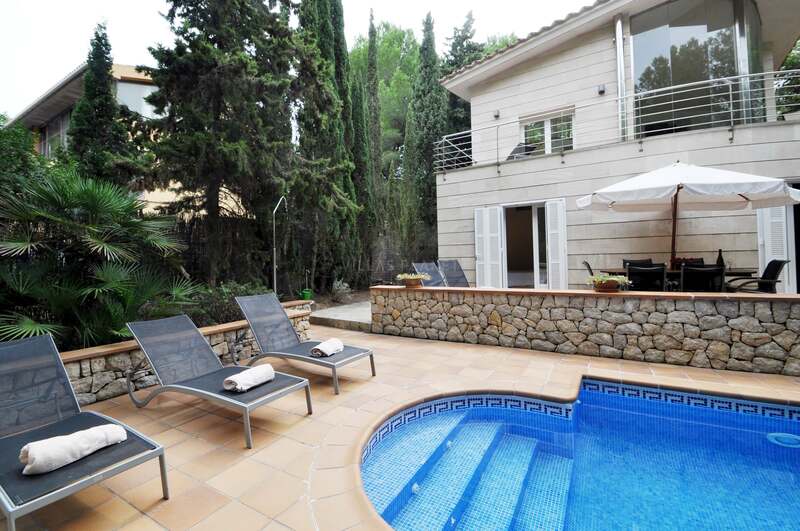 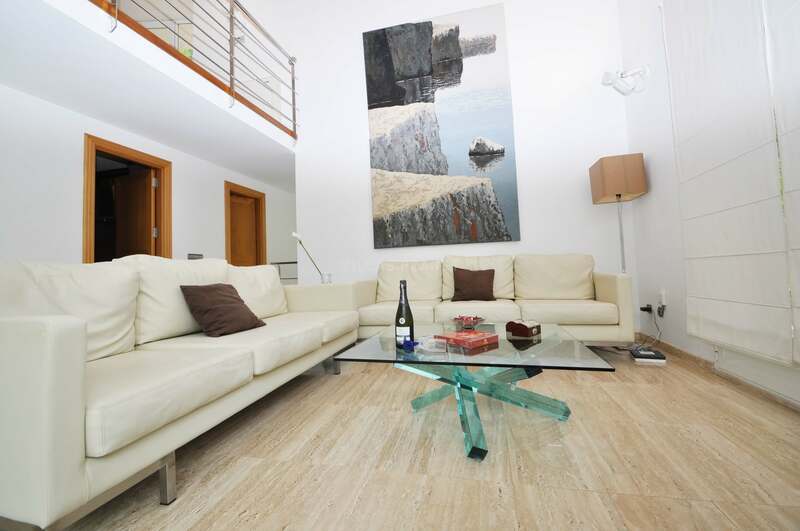 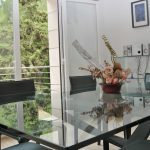 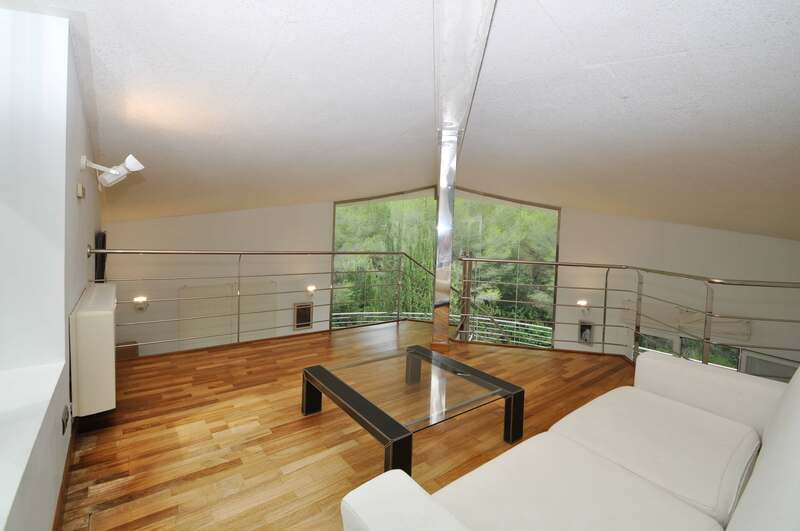 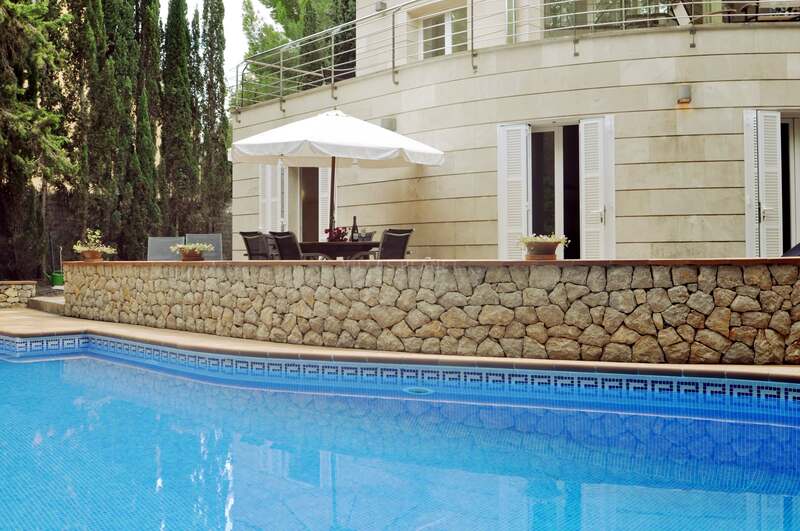 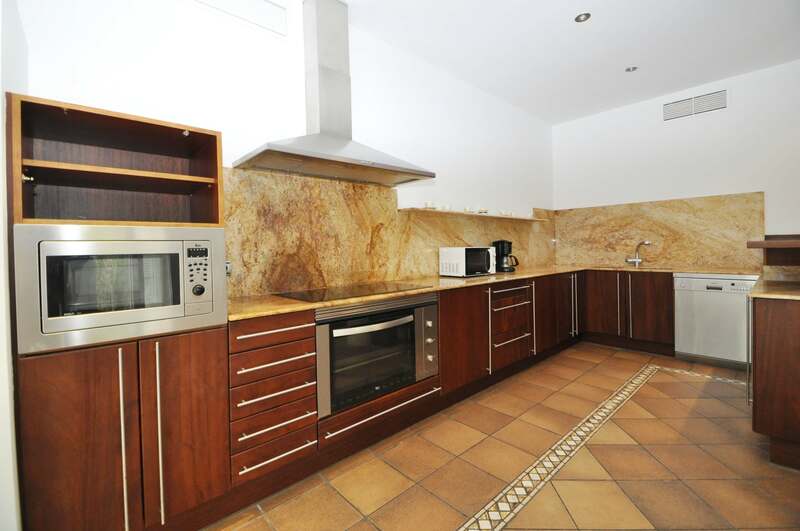 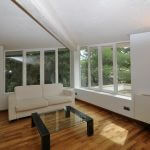 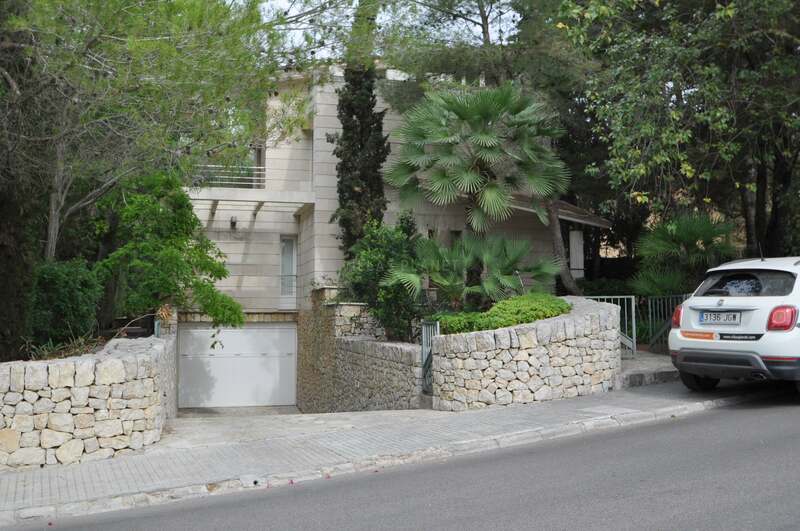 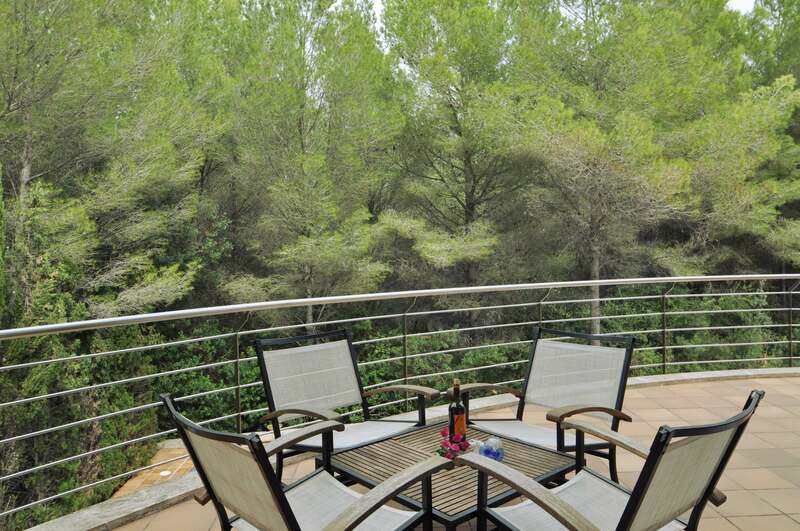 Spectacular Villa on three levels, located only 200 mts. 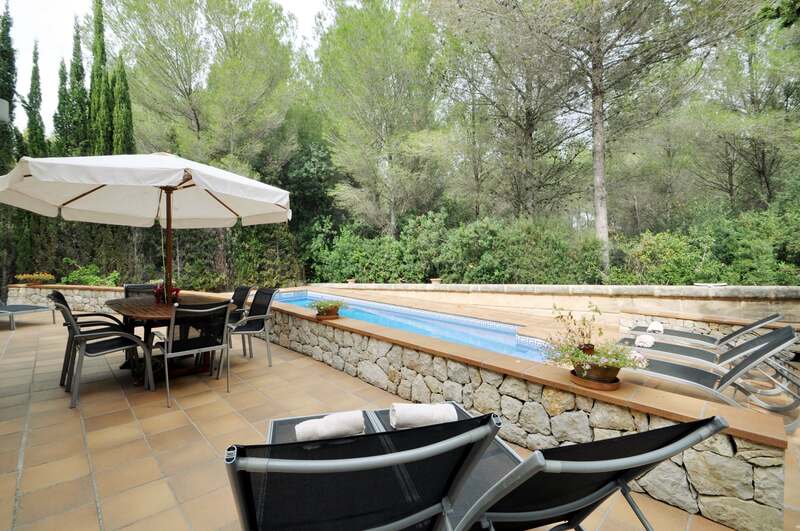 from Crocodile Port, in the privileged area of Bonaire, close to Alcudia town, north of Majorca. 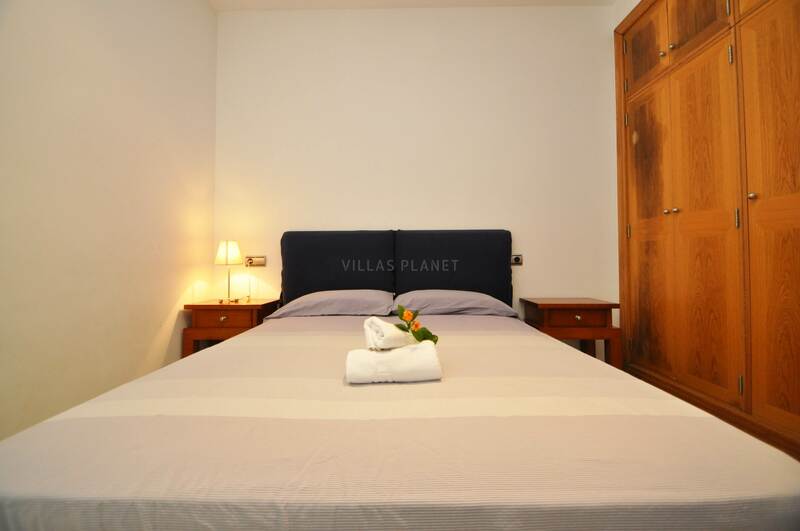 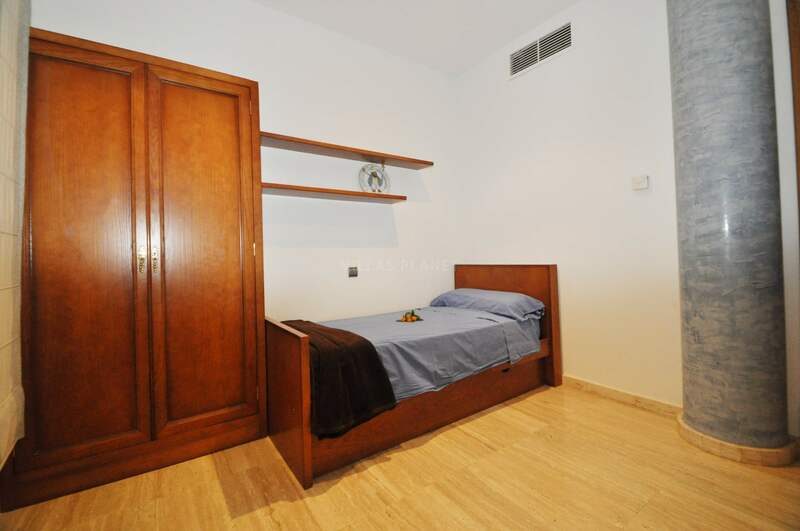 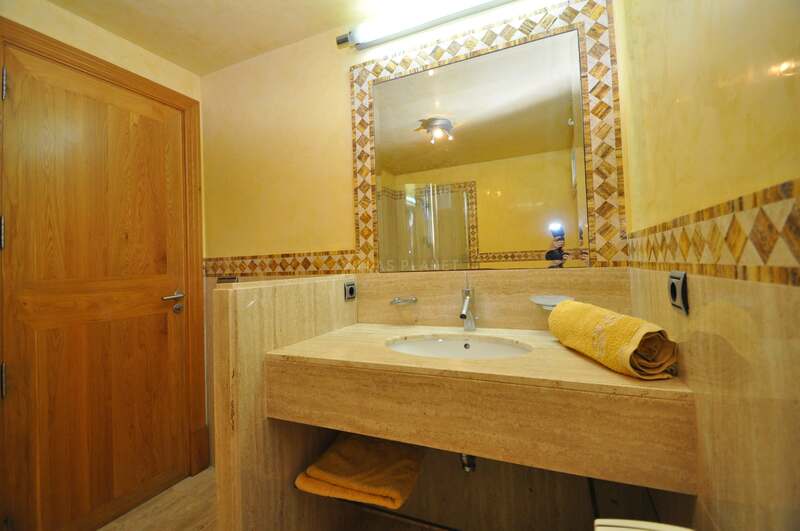 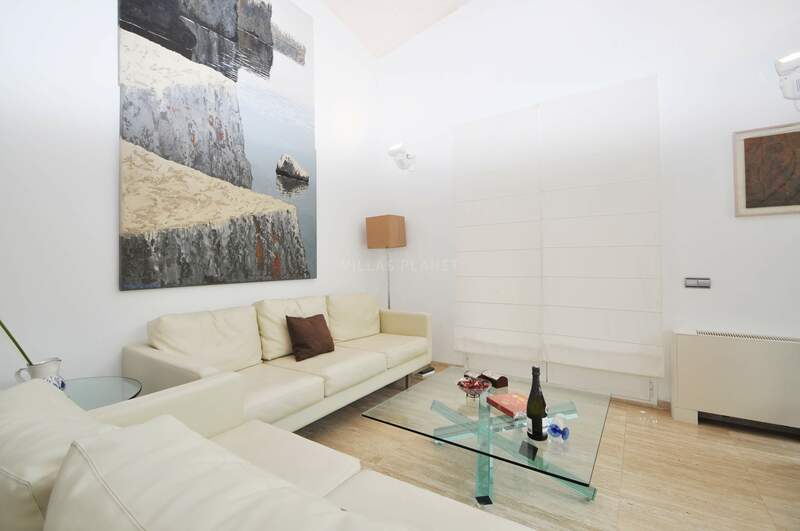 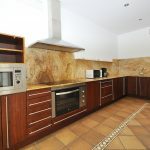 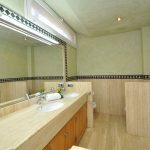 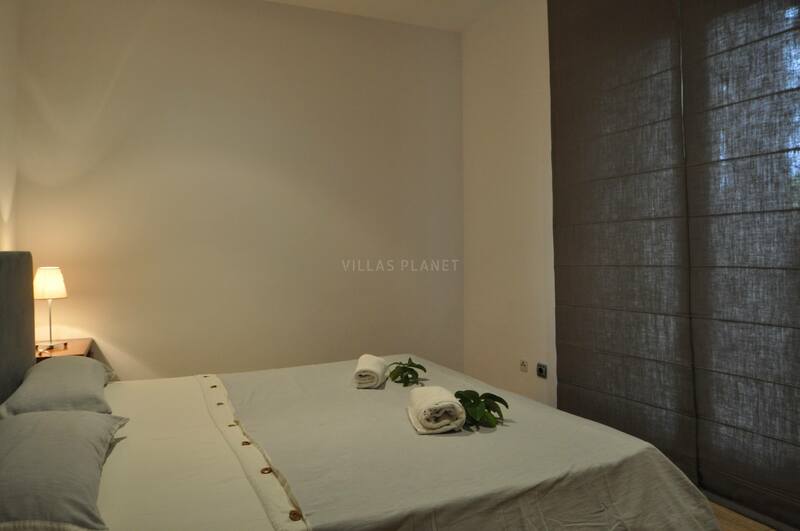 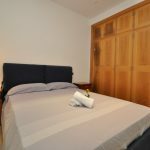 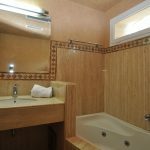 Located in a very quiet area, but at only 5 minutes from the turistic places of both Puerto Alcudia and Puerto Pollensa. 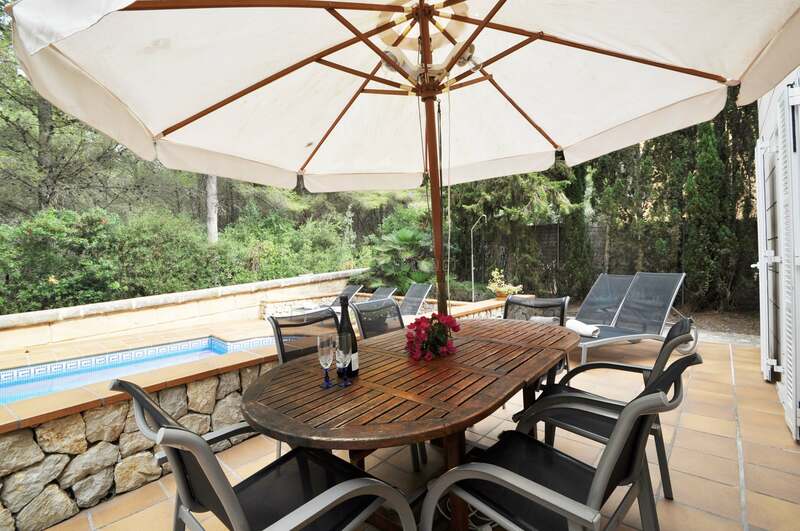 The nearest beach is Cala "S 'Illot" and is located only 3 minutes in the direction of "La Victoria". 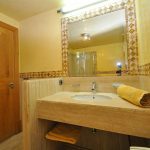 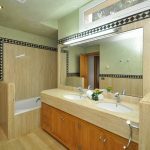 This wonderful villa has a total of four bedrooms, the master suite, with Jacuzzi tub, and three double bedrooms, all on the ground floor, and another complete bath. 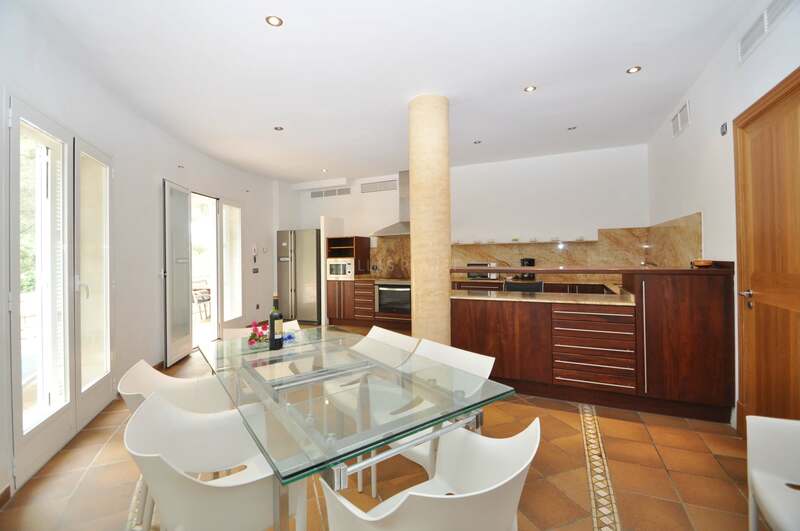 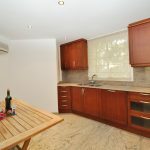 The villa also has a large and very well equipped kitchen, with dinning area which opens out onto to the swimming pool and gardens area. 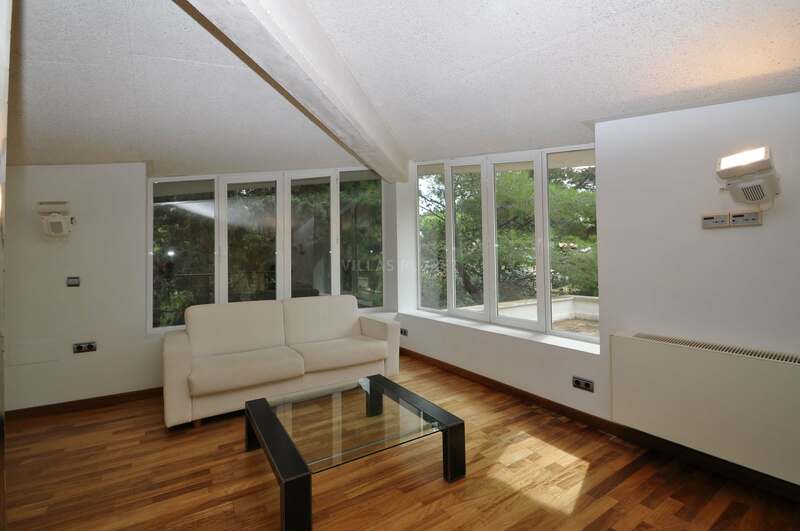 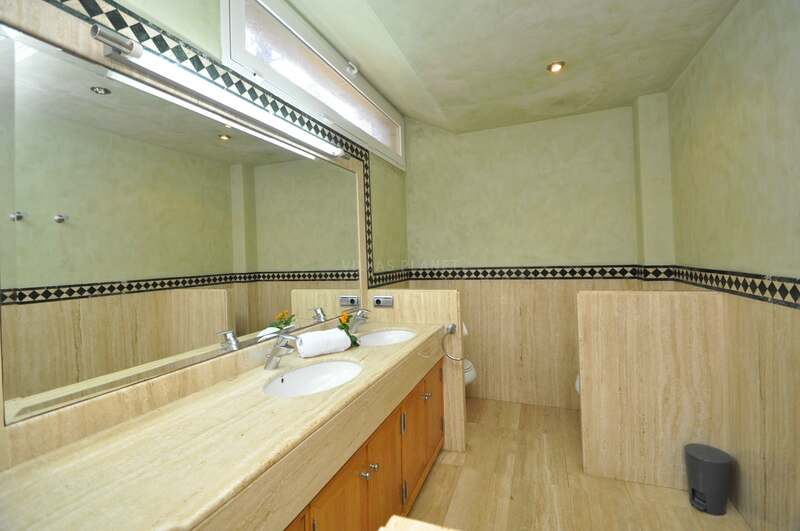 On the first floor there is a comfortable living room, dining room, and another complete kitchen, and bathroom. 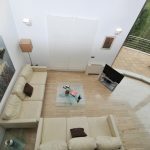 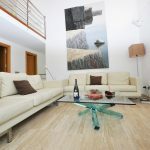 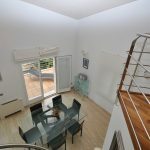 An added feature of this villa is the spacious attic with a sofa bed for two extra people, with views to the sea. 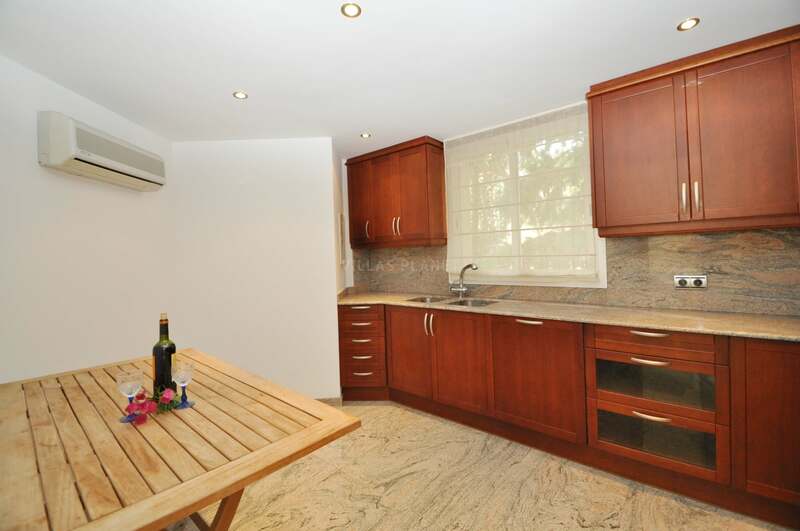 There is a garage for 5 cars and laundry room, in the basement. 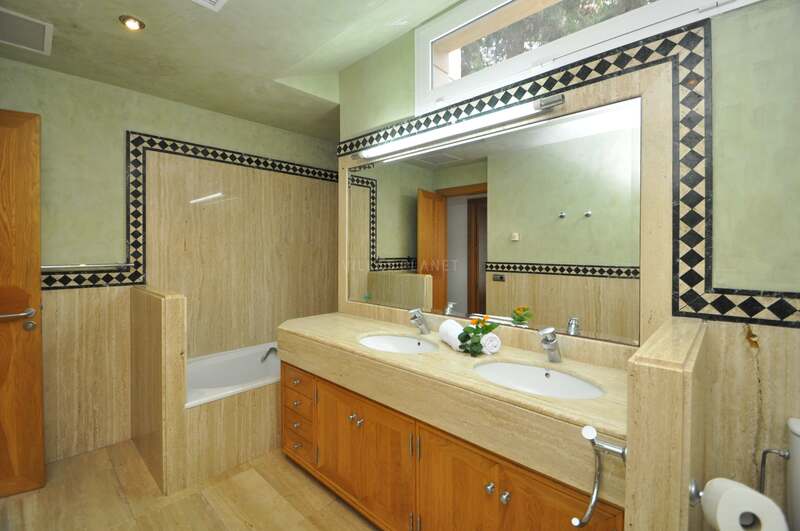 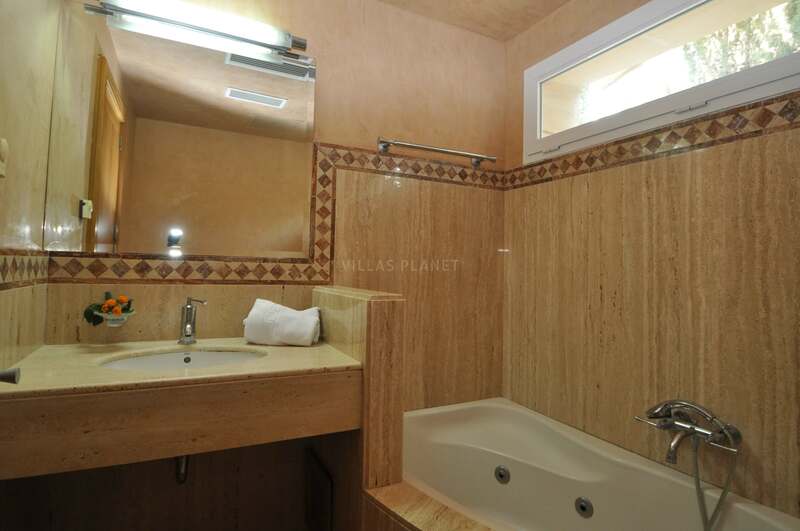 The house has high quality details, like stucco walls in the bathrooms, and marble floors, etc. 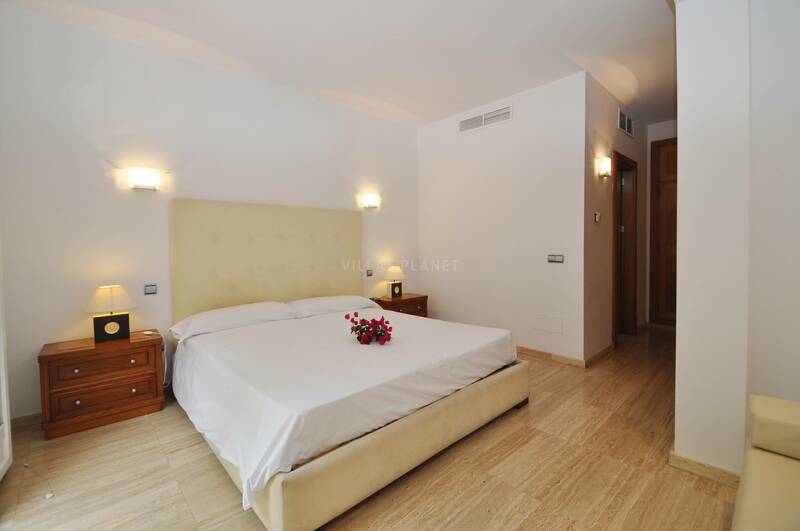 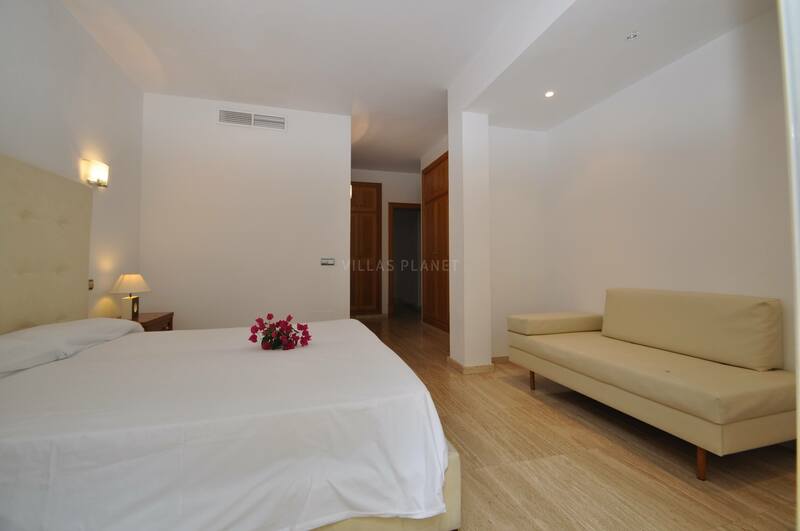 A perfect choice to spend a wonderful vacation time near the sea, and close to all amenities of the popular resort of Puerto Alcudia and its surrounded. 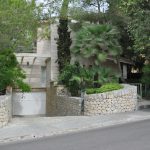 Palma de Mallorca : 54 km.